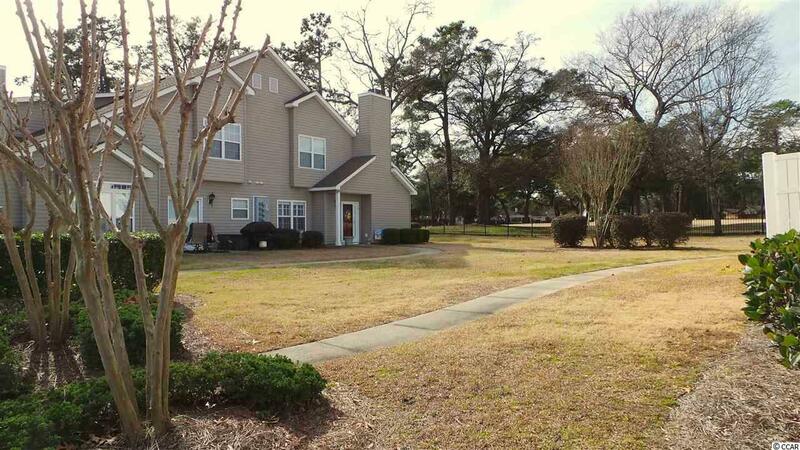 GOLF COURSE UNIT IN FAIRWAY OAKS! 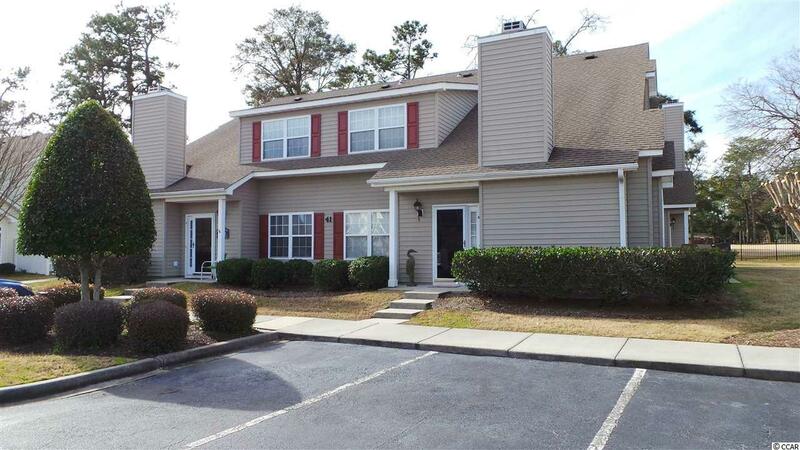 This 3BR, 2.5BA townhouse-style condo is one of the large units in Fairway Oaks and is in impeccable condition. This is a secluded community neighboring the beautiful Surf Golf & Beach Club golf course. Plantation shutters are installed throughout this unit and it is being sold fully furnished. Each room is complete with beautiful decor and superior quality furnishings. Solid oak flooring is located throughout the main living and dining areas and tile flooring in the kitchen. The master suite and half bath are conveniently located on the bottom floor and two guest bedrooms and full bath are on the second floor. Sliding glass doors from the dining area open onto a private patio with views of the golf course greens. Another feature that makes this unit unique is the extra large yard space between this building and the adjacent building. It is larger than most in the complex. 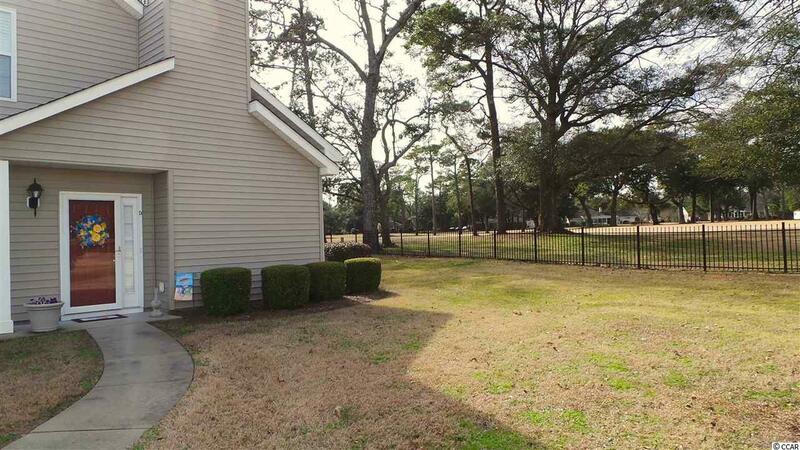 Fairway Oaks is golf cart and pet friendly and is only a short walking distance to the beach. This community has one of the largest pools in North Myrtle Beach and is a quiet neighborhood with ponds and fountains which make it a natural habitat to spot turtles and coastal bird life along the property. 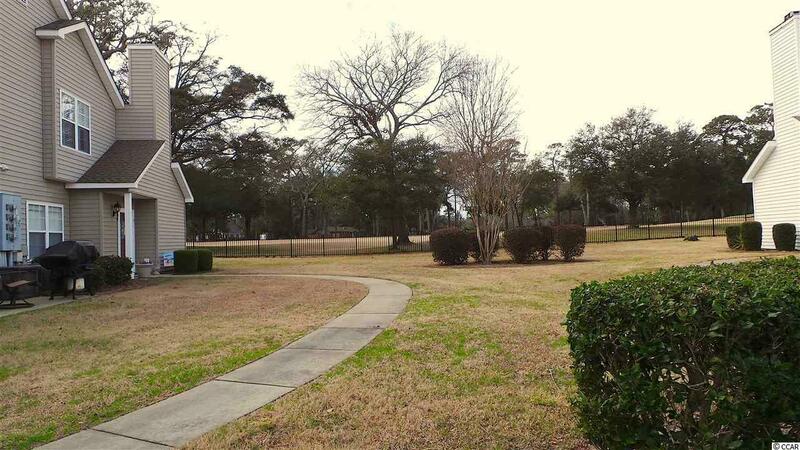 You will not want to miss this rare opportunity to own a large, golf course unit in this desirable complex. Fairway Oaks will undergo major exterior renovations to all buildings beginning February 1, 2019, including new roofs, siding, shutters and gutters. This will add instant value to this property and the special assessment for these renovations is being paid in full by sellers. Square footage is approximate and not guaranteed. Buyer is responsible for verification.